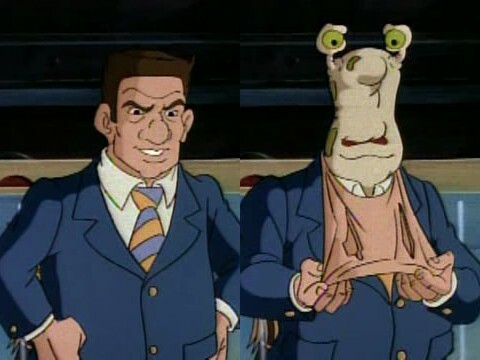 A. J. Howard was a multi-billionaire who became a slug mutant in an accident. Deeming himself the supreme mutant, he devised a plan to take over the world. First, he hired a man named Dirk Savage to capture mutants and hypnotize them. The captured mutants included Napoleon Bonafrog, Genghis Frog, Tokka, Rahzar, Mondo Gecko, and two unnamed mutants that appeared to be a giraffe and a gopher. After he had control over the mutants, he gave humans bracelets that would control them the same way he was able to control the mutants. He also planned to mutate all humans once he had control. He was eventually defeated by Dirk Savage and the Turtles.